Lei Zhang is the US General Manager of Chukong Technologies, an international mobile game publisher and developer based in Beijing. For those who are keeping their eyes on it, the Chinese mobile gaming market kicked off 2014 with a bang. The Chinese government estimated the mobile gaming economy generated almost $2 billion last year (and may underestimate its value as much as $300 million), Asian e-commerce titan Alibaba announced that it would be taking on its fellow $100+ billion rival Tencent in the mobile gaming space, and China Mobile started rolling out iPhones. It’s an exciting time to be involved in Chinese gaming because the maturing mobile market is creating new (and highly lucrative) opportunities for savvy developers. At Chukong, we believe there are four areas that we expect will define the Chinese mobile gaming space in 2014: consolidation of stores and platforms, developer-driven advancements to game engine development, the emergence of HTML5 as a powerful platform, and of course, Tencent WeChat further stretching its muscle as a gaming platform. Fragmentation is a well-known boogieman in mobile game development. If you’ve ever built a game for Android, you will be familiar with the headache of making your app work on the myriad devices and configurations (a reason so many choose to go iOS first). Device fragmentation issues in China are compounded by the hundreds of separate Android app stores that have emerged in the absence of the Google Play Store, making it even harder to get noticed. But market maturation – and the money that follows – has sparked a wave of acquisitions and consolidation, our first trend for 2014. 91’s acquisition by Baidu and PP Assistant’s acquisition by UCWeb are cases in point, and we expect more deals like Wandoujia’s $120 million funding round to happen over the course of the year. That said, consolidation will still leave dozens of app stores alive and well in China, and these will continue to require extensive resources for managing distribution compared to western counterparts. But dozens is better than hundreds, and streamlined distribution channels will simplify the process of entering the market for outside developers. For devs interested in China, keeping an eye on the winners and losers of these app store mergers can be challenging. Building relationships with the top marketplaces early, however, can make all the difference. Within China, the mobile gaming boom has caught the attention of local developers and has spurred a large market for powerful, easy-to-use game engines. Though the opportunity to build tools for Chinese developers has been overshadowed by the multi-billion dollar noise in mobile deals and acquisitions, there is a lot of money to be made here. As a result, Chinese developers wield increasing purchase power and demand cutting-edge platforms that keep pace with hardware developments. Hoping to tap into this grassroots community, Unity announced a 2D engine specifically marketed to Chinese developers in December. At Chukong, we answered the demand for seamless access to Android and iOS ecosystems with Cocos, a mobile-focused development platform originated from open-source 2D engine Cocos2d-x that now includes a complete suite of developer tools (animation editor, scene editor just to name a few) and a 3D extension. Competition in the mobile game engine market is fierce, but it is also ripe for innovation that will only benefit developers. Partly related to the cross-platform support by development tools and partly related to the existence of huge entry-point apps in China (such as WeChat and UC browser), expect HTML5 and browser-based gaming to surge ahead in 2014. The platform will claim a significant portion of mobile developer attention, particularly with the focus of game design on analytics and optimization. Mobile game development has, at this point, been almost entirely quantified — the success of a game is measured in weighing Cost per Install against ARPDAU, advertising and discovery spends against development costs, and more. App analytics have made microscopic analysis of an app’s successes and failures possible, and the vast majority of mobile game design is about optimizing a user’s experience from the moment they download an app to when they make a payment. Purist arguments about game design for art and entertainment aside, game optimization sits at the heart of mobile revenue these days. HTML5 revitalizes the potential mobile Web-based gaming by offering developers the same powerful tools they get from native mobile apps in a package that does not require downloads. This creates a powerful channel for discovery that cuts across the fragmentation issues of the Chinese app marketplace. Furthermore, the potential for players to try games without downloading them removes a huge (and costly) hurdle in user acquisition. HTML5 has been growing for a number of Chinese developers specifically because of the fragmentation problems that exist, and we expect the number of devs using HTML5 to swell soon. Finally, let’s talk about the elephant in the room. 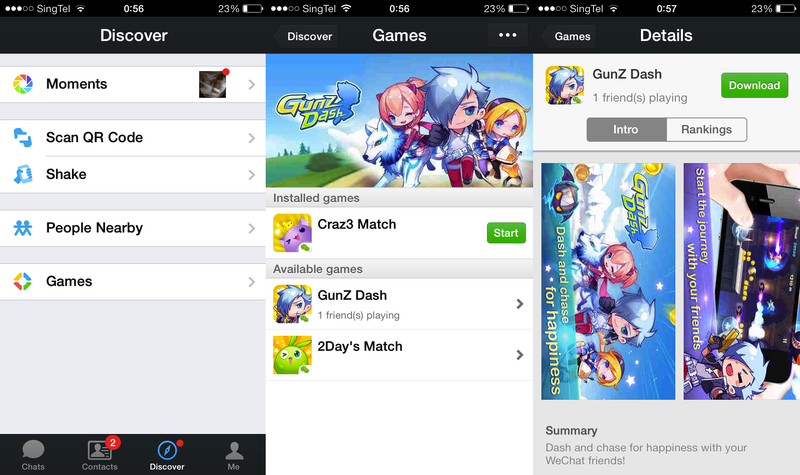 The last quarter of 2013 was characterized by WeChat games dominating the App Store’s grossing chart in China. The trend will not likely slow down in the foreseable future with WeChat pumping more games into its pipeline and aggressively rolling out peer-to-peer electronic payment to its huge user base. 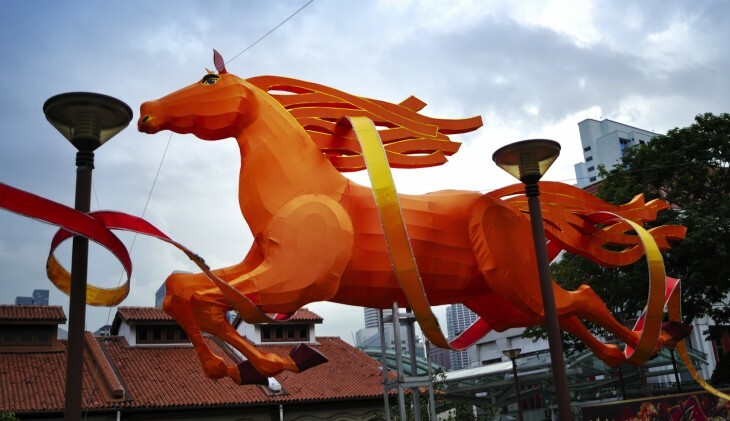 This was evident during Chinese New Year, when families traditionally exchange monetary gifts. We expect Tencent will take about 20 to 30 percent of the total mobile gaming market share in terms of revenue. However it’s yet to be seen whether WeChat will open up to become a true gaming platform or remain a closed, curated publisher. Related to Tencent’s sudden rise in mobile gaming, you should also keep a close watch for Alibaba’s defensive attack. With WeChat payment and ecommerce initiatives clearly threatening Alibaba’s core business, the e-commerce giant’s move into the mobile game distribution space should be a good news for developers and publishers alike, bringing more options and potentially better bargining opportunities. The story of the Chinese gaming market is, first and foremost, one of growth — our conservative projections show that it may double in value this year to $4 billion or more. Growth, in turn, will drive smaller trends like market consolidation, user-driven engine development, and the emergence of HTML5, that offer opportunities for ambitious mobile gaming companies to strike gold. In many ways, the Chinese market will remain too wild in 2014 for developers to access it with impunity, but the market’s growth suggests that opportunities will become much easier to access in the very near future.